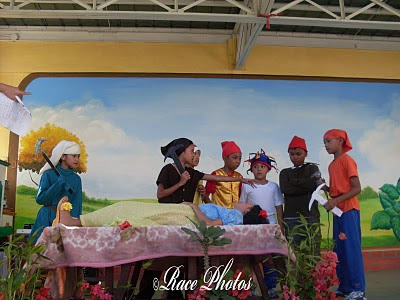 This is the story play of Gen's classmates last month featuring Snow White and the Seven Little Dwarfs. They were grouped into 5 and tasked to pick a play to perform on stage. This is just one of their lessons in English but it took all groups to practice for 5 months. All of them changed their chosen stories for many times and every time they change their story the complete play changes, it was tiring because their weekends were always spent in school to practice. Anyway according to their adviser all group presentations are good and they delivered the play with good diction, expression and all things needed for the play. Anyway it's not my daughter's group as they did the Rumpelstiltskin story. I just thought this one is good for RT and WW! See my other RT entries here. Click on the badge for other entries!